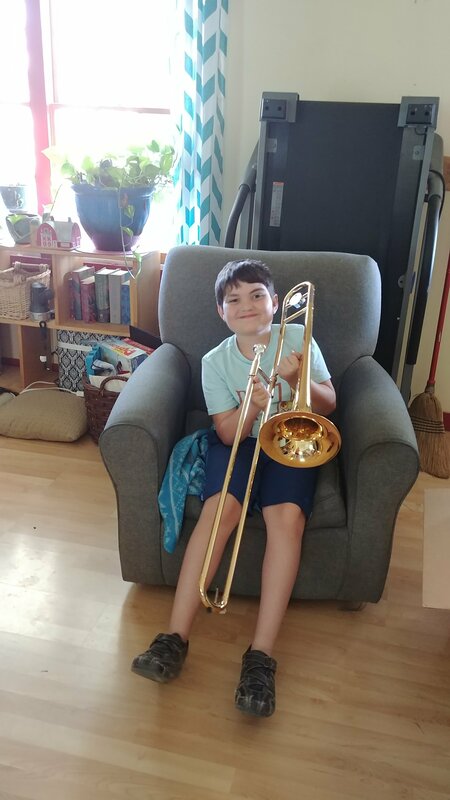 He was so excited to get his trombone yesterday! 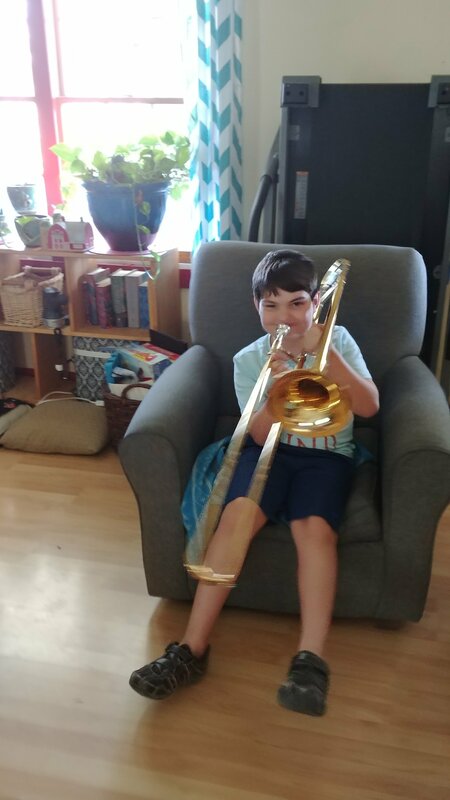 He had his first band class, too, and he told me all about it as soon as he got home from school. Have you ever seen a happier kid? 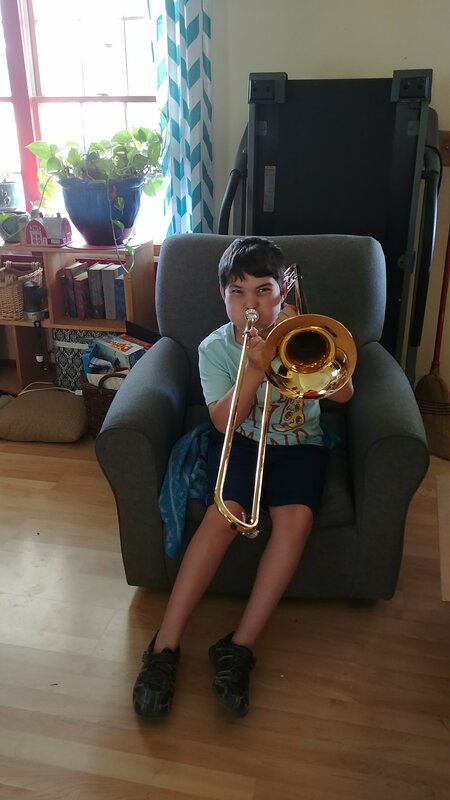 He practiced for half an hour.